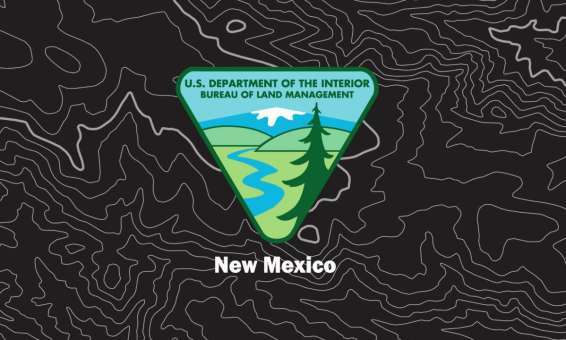 In the Land of Enchantment, the Federal Bureau of Land Management (BLM) over­sees outdoor recreation and many other activities on over 13 million acres of public land. 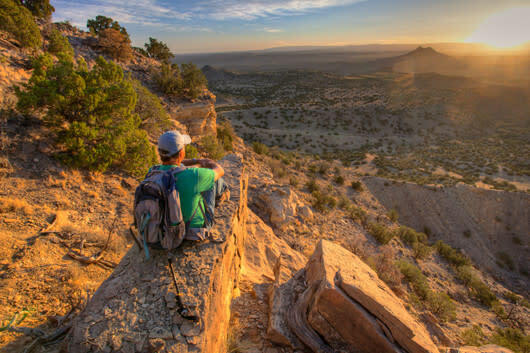 New Mexico’s public lands are diverse, encompassing high deserts, rugged lava flows, deep canyons, badlands, world-class National Monuments and other National Conservation Lands. 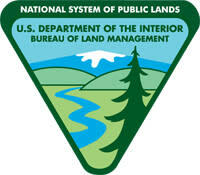 Almost all the BLM public land is open for recreational use, and opportunities abound, such as hiking, hunting, fishing, camping, horseback riding, OHVing, and much more. We invite you to explore the great gorge of the Río Grande del Norte National Monument near Taos or discover over 21,000 rock carvings at the Three Rivers Petroglyphs Site by Alamogordo. Be sure to visit the Ojito Wilderness, near Albuquerque, to walk where the 110-foot Seismosaurus once roamed or travel in Billy the Kid country at the Fort Stanton National Conservation Area. Stand beneath the grand La Ventana Arch in the El Malpais National Conservation Area near Grants or hike in New Mexico’s newest and largest National Monument, the Organ Mountains-Desert Peaks National Monument, near Las Cruces.